Sprinter Crew Van trim. Back-Up Camera, Turbo Charged Engine, Diesel. Warranty 5 yrs/100k Miles - Drivetrain Warranty; READ MORE! KEY FEATURES INCLUDE Back-Up Camera, Turbocharged, Diesel. MP3 Player, Third Passenger Door, Onboard Communications System, Keyless Entry, Privacy Glass, Electronic Stability Control, Bucket Seats. MORE ABOUT US We are Mercedes-Benz of Des Moines. Lower market price for above market value. We ship and register in all 50 states and Canada. Plus tax, title, license and $179 dealer documentary service fee. See dealer for details.Sprinter Crew Van trim. Back-Up Camera, Turbo Charged Engine, Diesel. Warranty 5 yrs/100k Miles - Drivetrain Warranty; READ MORE! Back-Up Camera, Turbocharged, Diesel. MP3 Player, Third Passenger Door, Onboard Communications System, Keyless Entry, Privacy Glass, Electronic Stability Control, Bucket Seats. Iridium Silver Metallic exterior and Fabric Black interior, Sprinter Cargo Van trim. Back-Up Camera, Diesel, Turbo Charged Engine. Warranty 3 yrs/36k Miles - Drivetrain Warranty; READ MORE! KEY FEATURES INCLUDE Back-Up Camera, Turbocharged, Diesel. MP3 Player, Third Passenger Door, Onboard Communications System, Keyless Entry, Electronic Stability Control, Bucket Seats, Brake Assist. Mercedes-Benz Sprinter Cargo Van with Iridium Silver Metallic exterior and Fabric Black interior features a V6 Cylinder Engine with 188 HP at 3800 RPM*. BUY FROM AN AWARD WINNING DEALER We are Mercedes-Benz of Des Moines. Lower market price for above market value. We ship and register in all 50 states and Canada. Plus tax, title, license and $179 dealer documentary service fee. See dealer for details.Iridium Silver Metallic exterior and Fabric Black interior, Sprinter Cargo Van trim. Back-Up Camera, Diesel, Turbo Charged Engine. Warranty 3 yrs/36k Miles - Drivetrain Warranty; READ MORE! Back-Up Camera, Turbocharged, Diesel. MP3 Player, Third Passenger Door, Onboard Communications System, Keyless Entry, Electronic Stability Control, Bucket Seats, Brake Assist. Mercedes-Benz Sprinter Cargo Van with Iridium Silver Metallic exterior and Fabric Black interior features a V6 Cylinder Engine with 188 HP at 3800 RPM*. Back-Up Camera, Turbo, Diesel. Jet Black exterior and Fabric Black interior, Sprinter Cargo Van trim. Warranty 3 yrs/36k Miles - Drivetrain Warranty; AND MORE! KEY FEATURES INCLUDE Back-Up Camera, Turbocharged, Diesel. MP3 Player, Third Passenger Door, Onboard Communications System, Keyless Entry, Electronic Stability Control, Bucket Seats, Brake Assist. Mercedes-Benz Sprinter Cargo Van with Jet Black exterior and Fabric Black interior features a V6 Cylinder Engine with 188 HP at 3800 RPM*. OUR OFFERINGS We are Mercedes-Benz of Des Moines. Lower market price for above market value. We ship and register in all 50 states and Canada. Plus tax, title, license and $179 dealer documentary service fee. See dealer for details.Back-Up Camera, Turbo, Diesel. Jet Black exterior and Fabric Black interior, Sprinter Cargo Van trim. Warranty 3 yrs/36k Miles - Drivetrain Warranty; AND MORE! Back-Up Camera, Turbocharged, Diesel. MP3 Player, Third Passenger Door, Onboard Communications System, Keyless Entry, Electronic Stability Control, Bucket Seats, Brake Assist. Mercedes-Benz Sprinter Cargo Van with Jet Black exterior and Fabric Black interior features a V6 Cylinder Engine with 188 HP at 3800 RPM*. Turbo Charged, Back-Up Camera, Diesel. Sprinter Crew Van trim. Warranty 3 yrs/36k Miles - Drivetrain Warranty; SEE MORE! KEY FEATURES INCLUDE Back-Up Camera, Turbocharged, Diesel. MP3 Player, Third Passenger Door, Onboard Communications System, Keyless Entry, Privacy Glass, Electronic Stability Control, Bucket Seats. WHO WE ARE We are Mercedes-Benz of Des Moines. Lower market price for above market value. We ship and register in all 50 states and Canada. Plus tax, title, license and $179 dealer documentary service fee. See dealer for details.Turbo Charged, Back-Up Camera, Diesel. Sprinter Crew Van trim. Warranty 3 yrs/36k Miles - Drivetrain Warranty; SEE MORE! Nav System, Third Row Seat, Back-Up Camera, Rear Air, PREMIUM PACKAGE, PREMIUM PLUS PACKAGE, PARKING PACKAGE, Turbo Charged Engine. Sprinter Passenger Van trim, Arctic White exterior and Fabric Black interior. CLICK NOW! KEY FEATURES INCLUDE Third Row Seat, Rear Air, Back-Up Camera. MP3 Player, Third Passenger Door, Onboard Communications System, Privacy Glass, Keyless Entry, Electronic Stability Control, Bucket Seats. OPTION PACKAGES PREMIUM PLUS PACKAGE Sirius XM Satellite Radio, Acoustic Package, Free Map Data Updates for 3 Years, Radio: MBUX Multimedia System w/10.25 Touchscreen, Tray For Smartphones w/Wireless Charging, Traffic Sign Assist, Active Distance Assist DISTRONIC, Intelligent Navigation, Instrument Cluster w/Color Display, Leather Steering Wheel, PREMIUM PACKAGE Rear View Camera w/Head Unit Display, Wet Wiper System, Active Lane Keeping Assist, Active Braking Assist, Rain Sensor, WHEELS: 6.5J X 16 LIGHT-ALLOY, PARKING PACKAGE. Mercedes-Benz Sprinter Passenger Van with Arctic White exterior and Fabric Black interior features a V6 Cylinder Engine with 188 HP at 3800 RPM*. VISIT US TODAY We are Mercedes-Benz of Des Moines. Lower market price for above market value. We ship and register in all 50 states and Canada. Plus tax, title, license and $179 dealer documentary service fee. See dealer for details.Nav System, Third Row Seat, Back-Up Camera, Rear Air, PREMIUM PACKAGE, PREMIUM PLUS PACKAGE, PARKING PACKAGE, Turbo Charged Engine. Sprinter Passenger Van trim, Arctic White exterior and Fabric Black interior. CLICK NOW! Third Row Seat, Rear Air, Back-Up Camera. MP3 Player, Third Passenger Door, Onboard Communications System, Privacy Glass, Keyless Entry, Electronic Stability Control, Bucket Seats. PREMIUM PLUS PACKAGE Sirius XM Satellite Radio, Acoustic Package, Free Map Data Updates for 3 Years, Radio: MBUX Multimedia System w/10.25 Touchscreen, Tray For Smartphones w/Wireless Charging, Traffic Sign Assist, Active Distance Assist DISTRONIC, Intelligent Navigation, Instrument Cluster w/Color Display, Leather Steering Wheel, PREMIUM PACKAGE Rear View Camera w/Head Unit Display, Wet Wiper System, Active Lane Keeping Assist, Active Braking Assist, Rain Sensor, WHEELS: 6.5J X 16 LIGHT-ALLOY, PARKING PACKAGE. Mercedes-Benz Sprinter Passenger Van with Arctic White exterior and Fabric Black interior features a V6 Cylinder Engine with 188 HP at 3800 RPM*. 3rd Row Seat, Rear Air, Turbo, Back-Up Camera. Sprinter Passenger Van trim. Warranty 3 yrs/36k Miles - Drivetrain Warranty; SEE MORE! KEY FEATURES INCLUDE Third Row Seat, Rear Air, Back-Up Camera MP3 Player, Third Passenger Door, Onboard Communications System, Privacy Glass, Keyless Entry, Electronic Stability Control, Bucket Seats. WHO WE ARE We are Mercedes-Benz of Des Moines. Lower market price for above market value. We ship and register in all 50 states and Canada. Plus tax, title, license and $179 dealer documentary service fee. See dealer for details.3rd Row Seat, Rear Air, Turbo, Back-Up Camera. Sprinter Passenger Van trim. Warranty 3 yrs/36k Miles - Drivetrain Warranty; SEE MORE! Third Row Seat, Rear Air, Back-Up Camera MP3 Player, Third Passenger Door, Onboard Communications System, Privacy Glass, Keyless Entry, Electronic Stability Control, Bucket Seats. Heated Seats, NAV, iPod/MP3 Input, Diesel, Turbo, PREMIUM PACKAGE, DRIVER CONVENIENCE PACKAGE, COMFORT PACKAGE, PREMIUM PLUS PACKAGE. Sprinter Cab Chassis trim, Arctic White exterior and Fabric Black/White Pattern interior. AND MORE! KEY FEATURES INCLUDE Turbocharged, Diesel, iPod/MP3 Input. MP3 Player, Onboard Communications System, Keyless Entry, Electronic Stability Control, Bucket Seats, 4-Wheel ABS, 4-Wheel Disc Brakes. OPTION PACKAGES PREMIUM PLUS PACKAGE Sirius XM Satellite Radio, Acoustic Package, Free Map Data Updates for 3 Years, Radio: MBUX Multimedia System w/10.25 Touchscreen, Tray For Smartphones, wireless charging, Traffic Sign Assist, Active Distance Assist DISTRONIC, Navigation, Intelligent Navigation, Instrument Cluster w/Color Display, Leather Steering Wheel, COMFORT PLUS PACKAGE Heated Front Passenger Seat, Heated Driver's Seat, Electrically Adjustable Driver's Seat, Electrically Adjustable Front Passenger's Seat, EXTERIOR LIGHTING PACKAGE Partial LED Tail Lights, High Beam Assist, LED High Performance Headlamps, Fog Lamps w/Cornering Light Function, PREMIUM PACKAGE Wet Wiper System, Active Lane Keeping Assist, Active Brake Assist, Radio: MBUX Multimedia System w/7 Touchscreen, Rain Sensor, DRIVER CONVENIENCE PACKAGE Hinged Lid for Left & Right Storage Compartments, Attention Assist, 2 Additional Master Keys, Multifunction Steering Wheel, Heated & Electrically Adjustable Exterior Mirrors, Cruise Control, Driver Seat Base 12V Power Outlet, Hinged Lid For Storage Compartment, COMFORT PACKAGE Comfort Head Restraint, Passenger, Comfort Head Restraint, Driver, Comfort Passenger Seat, Comfort Driver's Seat, Driver's Seat Lumbar Support, Front Passenger's Seat Lumbar Support, Comfort Overhead Control Panel WHO WE ARE We are Mercedes-Benz of Des Moines. Lower market price for above market value. We ship and register in all 50 states and Canada. Plus tax, title, license and $179 dealer documentary service fee. See dealer for details.Heated Seats, NAV, iPod/MP3 Input, Diesel, Turbo, PREMIUM PACKAGE, DRIVER CONVENIENCE PACKAGE, COMFORT PACKAGE, PREMIUM PLUS PACKAGE. Sprinter Cab Chassis trim, Arctic White exterior and Fabric Black/White Pattern interior. AND MORE! Turbocharged, Diesel, iPod/MP3 Input. MP3 Player, Onboard Communications System, Keyless Entry, Electronic Stability Control, Bucket Seats, 4-Wheel ABS, 4-Wheel Disc Brakes. *Third Row Seat, Turbo Charged Engine, 4x4 High Range Transfer Case w/Low Gear, Back-Up Camera, Rear Air. Obsidian Black Metallic exterior and Leatherette black interior, Sprinter Passenger Van trim. AND MORE! KEY FEATURES INCLUDE Third Row Seat, Rear Air, Back-Up Camera. MP3 Player, Third Passenger Door, 4x4 High Range Transfer Case w/Low Gear, Keyless Entry, Privacy Glass, Electronic Stability Control, Bucket Seats. Mercedes-Benz Sprinter Passenger Van with Obsidian Black Metallic exterior and Leatherette black interior features a V6 Cylinder Engine with 188 HP at 3800 RPM*. OUR OFFERINGS We are Mercedes-Benz of Des Moines. Lower market price for above market value. We ship and register in all 50 states and Canada. Comment Our 2018 Mercedes-Benz Sprinter 2500 AWD Passenger Van is proudly presented in Obsidian Black Metallic. Powered by a fuel-sipping TurboCharged 3.0 Liter BlueTEC® Diesel V6 that offers 188hp while connected to a durable 7 Speed Automatic transmission designed for work. This All Wheel Drive scores near 26mpg on the highway and superior craftsmanship is evident with every detail of our Sprinter Van! Inside our Sprinter Passenger, it has room for nearly everything and everyone with style, safety, and innovation! You'll appreciate ample room for 12 passengers and a class-leading interior standing height as well as integrated 3-point seat belts for each passenger. Purposely built, the cabin is efficient and ergonomic! Our Sprinter from Mercedes-Benz has been engineered with advanced safety features such as Crosswind Assist and Load-Adaptive Electronic Stability so you can travel with peace of mind. Sprint ahead of your competition! Print this page and call us Now... We Know You Will Enjoy Your Test Drive Towards Ownership! Plus tax, title, license and $179 dealer documentary service fee. See dealer for details. *Third Row Seat, Turbo Charged Engine, 4x4 High Range Transfer Case w/Low Gear, Back-Up Camera, Rear Air. Obsidian Black Metallic exterior and Leatherette black interior, Sprinter Passenger Van trim. AND MORE! Third Row Seat, Rear Air, Back-Up Camera. MP3 Player, Third Passenger Door, 4x4 High Range Transfer Case w/Low Gear, Keyless Entry, Privacy Glass, Electronic Stability Control, Bucket Seats. Mercedes-Benz Sprinter Passenger Van with Obsidian Black Metallic exterior and Leatherette black interior features a V6 Cylinder Engine with 188 HP at 3800 RPM*. Our 2018 Mercedes-Benz Sprinter 2500 AWD Passenger Van is proudly presented in Obsidian Black Metallic. Powered by a fuel-sipping TurboCharged 3.0 Liter BlueTEC® Diesel V6 that offers 188hp while connected to a durable 7 Speed Automatic transmission designed for work. This All Wheel Drive scores near 26mpg on the highway and superior craftsmanship is evident with every detail of our Sprinter Van! Inside our Sprinter Passenger, it has room for nearly everything and everyone with style, safety, and innovation! You'll appreciate ample room for 12 passengers and a class-leading interior standing height as well as integrated 3-point seat belts for each passenger. Purposely built, the cabin is efficient and ergonomic! Our Sprinter from Mercedes-Benz has been engineered with advanced safety features such as Crosswind Assist and Load-Adaptive Electronic Stability so you can travel with peace of mind. Sprint ahead of your competition! Print this page and call us Now... We Know You Will Enjoy Your Test Drive Towards Ownership! Sprinter Cab Chassis trim. Diesel, Turbo Charged Engine, iPod/MP3 Input. Warranty 5 yrs/100k Miles - Drivetrain Warranty; AND MORE! KEY FEATURES INCLUDE Turbocharged, Diesel, iPod/MP3 Input. MP3 Player, Onboard Communications System, Keyless Entry, Electronic Stability Control, Bucket Seats, Brake Assist, 4-Wheel ABS. WHY BUY FROM US We are Mercedes-Benz of Des Moines. Lower market price for above market value. We ship and register in all 50 states and Canada. Plus tax, title, license and $179 dealer documentary service fee. See dealer for details.Sprinter Cab Chassis trim. Diesel, Turbo Charged Engine, iPod/MP3 Input. Warranty 5 yrs/100k Miles - Drivetrain Warranty; AND MORE! Turbocharged, Diesel, iPod/MP3 Input. MP3 Player, Onboard Communications System, Keyless Entry, Electronic Stability Control, Bucket Seats, Brake Assist, 4-Wheel ABS. Third Row Seat, Turbo Charged, Rear Air, Back-Up Camera. Graphite Grey Metallic exterior and Leatherette black interior, Sprinter Passenger Van trim. Warranty 3 yrs/36k Miles - Drivetrain Warranty; SEE MORE! KEY FEATURES INCLUDE Third Row Seat, Rear Air, Back-Up Camera. MP3 Player, Third Passenger Door, Keyless Entry, Privacy Glass, Electronic Stability Control, Bucket Seats, Brake Assist. Mercedes-Benz Sprinter Passenger Van with Graphite Grey Metallic exterior and Leatherette black interior features a V6 Cylinder Engine with 188 HP at 3800 RPM*. 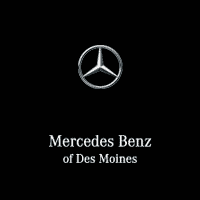 OUR OFFERINGS We are Mercedes-Benz of Des Moines. Lower market price for above market value. We ship and register in all 50 states and Canada. Plus tax, title, license and $179 dealer documentary service fee. See dealer for details.Third Row Seat, Turbo Charged, Rear Air, Back-Up Camera. Graphite Grey Metallic exterior and Leatherette black interior, Sprinter Passenger Van trim. Warranty 3 yrs/36k Miles - Drivetrain Warranty; SEE MORE! Third Row Seat, Rear Air, Back-Up Camera. MP3 Player, Third Passenger Door, Keyless Entry, Privacy Glass, Electronic Stability Control, Bucket Seats, Brake Assist. Mercedes-Benz Sprinter Passenger Van with Graphite Grey Metallic exterior and Leatherette black interior features a V6 Cylinder Engine with 188 HP at 3800 RPM*. NAV, Diesel, iPod/MP3 Input, REAR VIEW CAMERA W/HEAD UNIT DISPLAY, NAVIGATION, HEATED & ELECTRICALLY ADJUSTABLE EXTE... Turbo, CRUISE CONTROL. Sprinter Cargo Van trim, Arctic White exterior and Fabric Black interior. AND MORE! KEY FEATURES INCLUDE Turbocharged, Diesel, iPod/MP3 Input MP3 Player, Third Passenger Door, Onboard Communications System, Keyless Entry, Electronic Stability Control, Bucket Seats, Brake Assist. OPTION PACKAGES NAVIGATION, BLIND SPOT ASSIST, REAR VIEW CAMERA W/HEAD UNIT DISPLAY, HEATED & ELECTRICALLY ADJUSTABLE EXTERIOR MIRRORS, CRUISE CONTROL. Mercedes-Benz Sprinter Cargo Van with Arctic White exterior and Fabric Black interior features a V6 Cylinder Engine with 188 HP at 3800 RPM*. VISIT US TODAY We are Mercedes-Benz of Des Moines. Lower market price for above market value. We ship and register in all 50 states and Canada. Plus tax, title, license and $179 dealer documentary service fee. See dealer for details.NAV, Diesel, iPod/MP3 Input, REAR VIEW CAMERA W/HEAD UNIT DISPLAY, NAVIGATION, HEATED & ELECTRICALLY ADJUSTABLE EXTE... Turbo, CRUISE CONTROL. Sprinter Cargo Van trim, Arctic White exterior and Fabric Black interior. AND MORE! Turbocharged, Diesel, iPod/MP3 Input MP3 Player, Third Passenger Door, Onboard Communications System, Keyless Entry, Electronic Stability Control, Bucket Seats, Brake Assist. NAVIGATION, BLIND SPOT ASSIST, REAR VIEW CAMERA W/HEAD UNIT DISPLAY, HEATED & ELECTRICALLY ADJUSTABLE EXTERIOR MIRRORS, CRUISE CONTROL. Mercedes-Benz Sprinter Cargo Van with Arctic White exterior and Fabric Black interior features a V6 Cylinder Engine with 188 HP at 3800 RPM*. Third Row Seat, Back-Up Camera, Rear Air, Turbo Charged Engine. Jet Black exterior and Fabric Black interior, Sprinter Passenger Van trim. Warranty 3 yrs/36k Miles - Drivetrain Warranty; AND MORE! KEY FEATURES INCLUDE Third Row Seat, Rear Air, Back-Up Camera MP3 Player, Third Passenger Door, Onboard Communications System, Privacy Glass, Keyless Entry, Electronic Stability Control, Bucket Seats. Mercedes-Benz Sprinter Passenger Van with Jet Black exterior and Fabric Black interior features a V6 Cylinder Engine with 188 HP at 3800 RPM*. MORE ABOUT US We are Mercedes-Benz of Des Moines. Lower market price for above market value. We ship and register in all 50 states and Canada. Plus tax, title, license and $179 dealer documentary service fee. See dealer for details.Third Row Seat, Back-Up Camera, Rear Air, Turbo Charged Engine. Jet Black exterior and Fabric Black interior, Sprinter Passenger Van trim. Warranty 3 yrs/36k Miles - Drivetrain Warranty; AND MORE! Third Row Seat, Rear Air, Back-Up Camera MP3 Player, Third Passenger Door, Onboard Communications System, Privacy Glass, Keyless Entry, Electronic Stability Control, Bucket Seats. Mercedes-Benz Sprinter Passenger Van with Jet Black exterior and Fabric Black interior features a V6 Cylinder Engine with 188 HP at 3800 RPM*. Nav System, Third Row Seat, Back-Up Camera, DRIVER CONVENIENCE PACKAGE, NAVIGATION, WHEELS: 6.5J X 16 LIGHT-ALLOY, Rear Air. Arctic White exterior and Fabric Black/White Pattern interior, Sprinter Passenger Van trim. CLICK ME! KEY FEATURES INCLUDE Third Row Seat, Rear Air, Back-Up Camera MP3 Player, Third Passenger Door, Onboard Communications System, Privacy Glass, Keyless Entry, Electronic Stability Control, Bucket Seats. OPTION PACKAGES DRIVER CONVENIENCE PACKAGE Hinged Lid for Left & Right Stowage Compartments, ATTENTION ASSIST®, Blind Spot Monitoring, Electrically Folding Exterior Mirrors, 2 Additional Master Keys, Multifunction Steering Wheel, Heated & Electrically Adjustable Exterior Mirrors, Cruise Control, Driver Seat Base 12V Power Outlet, WHEELS: 6.5J X 16 LIGHT-ALLOY, NAVIGATION. Mercedes-Benz Sprinter Passenger Van with Arctic White exterior and Fabric Black/White Pattern interior features a V6 Cylinder Engine with 188 HP at 3800 RPM*. WHO WE ARE We are Mercedes-Benz of Des Moines. Lower market price for above market value. We ship and register in all 50 states and Canada. Plus tax, title, license and $179 dealer documentary service fee. See dealer for details.Nav System, Third Row Seat, Back-Up Camera, DRIVER CONVENIENCE PACKAGE, NAVIGATION, WHEELS: 6.5J X 16 LIGHT-ALLOY, Rear Air. Arctic White exterior and Fabric Black/White Pattern interior, Sprinter Passenger Van trim. CLICK ME! DRIVER CONVENIENCE PACKAGE Hinged Lid for Left & Right Stowage Compartments, ATTENTION ASSIST®, Blind Spot Monitoring, Electrically Folding Exterior Mirrors, 2 Additional Master Keys, Multifunction Steering Wheel, Heated & Electrically Adjustable Exterior Mirrors, Cruise Control, Driver Seat Base 12V Power Outlet, WHEELS: 6.5J X 16 LIGHT-ALLOY, NAVIGATION. Mercedes-Benz Sprinter Passenger Van with Arctic White exterior and Fabric Black/White Pattern interior features a V6 Cylinder Engine with 188 HP at 3800 RPM*. 3rd Row Seat, Rear Air, Back-Up Camera, Turbo. Sprinter Passenger Van trim. Warranty 3 yrs/36k Miles - Drivetrain Warranty; CLICK NOW! KEY FEATURES INCLUDE Third Row Seat, Rear Air, Back-Up Camera. MP3 Player, Third Passenger Door, Onboard Communications System, Privacy Glass, Keyless Entry, Electronic Stability Control, Bucket Seats. WHY BUY FROM US We are Mercedes-Benz of Des Moines. Lower market price for above market value. We ship and register in all 50 states and Canada. Plus tax, title, license and $179 dealer documentary service fee. See dealer for details.3rd Row Seat, Rear Air, Back-Up Camera, Turbo. Sprinter Passenger Van trim. Warranty 3 yrs/36k Miles - Drivetrain Warranty; CLICK NOW! 3rd Row Seat, Back-Up Camera, Rear Air, Turbo Charged. Sprinter Passenger Van trim. Warranty 5 yrs/100k Miles - Drivetrain Warranty; READ MORE! KEY FEATURES INCLUDE Third Row Seat, Rear Air, Back-Up Camera. MP3 Player, Third Passenger Door, Onboard Communications System, Privacy Glass, Keyless Entry, Electronic Stability Control, Bucket Seats. MORE ABOUT US We are Mercedes-Benz of Des Moines. Lower market price for above market value. We ship and register in all 50 states and Canada. Plus tax, title, license and $179 dealer documentary service fee. See dealer for details.3rd Row Seat, Back-Up Camera, Rear Air, Turbo Charged. Sprinter Passenger Van trim. Warranty 5 yrs/100k Miles - Drivetrain Warranty; READ MORE!